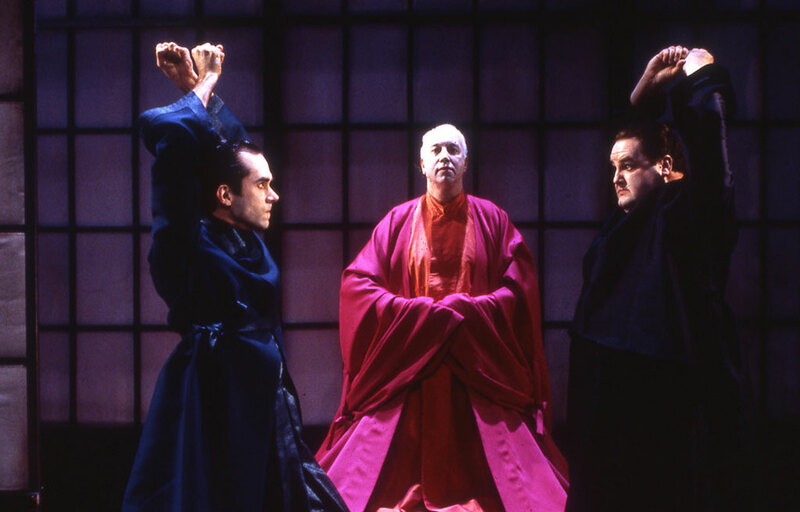 This beautifully re-crafted 18th century Japanese play in unrhyming pentameter premiered at the Royal National Theatre in 1996. Artistic Director Charles Newell directs the American premiere of Peter Oswald’s elaborate and funny tale of innocent passion. In a seemingly serene culture, four young lovers challenge both their elders’ wisdom and the state’s rigid order. Samurai culture and monastic Buddhism are part of this great adventure in which love ultimately transforms the whole of society.